In our continuing series on Social Media Measurement for ROI with Nichole Kelly, we have the second White Paper ready for you to download. This one, entitled Applying Social Media Measurement to the Sales Funnel, demonstrates how to align the three core metrics of social media measurement with the sales funnel. If you’re like many social media marketers today, you struggle with aligning the language of social media to company goals. How do you show how many sales were made as a result of your social media efforts? By applying social metrics to the sales funnel you can directly translate your efforts into sales, and compare with other media channels. Utilizing the sales funnel to explain social media results will more clearly demonstrate how your actions are measuring up against goals. Campaign tracking will allow you to identify where leads are within the process and correlated numbers with each stage in the funnel. Find out more by downloading the White Paper today. Applying Social Media Measurement to the Sales Funnel is chock full of valuable measurement advice. Plus, 5 handy How-Tos for HootSuite Social Analytics are included. The second White Paper is ready for you to download, share and even embed on your blog or website. And stay tuned for more coming soon — we’re releasing a new one every two weeks. Keep an eye on @hootwatch for more! 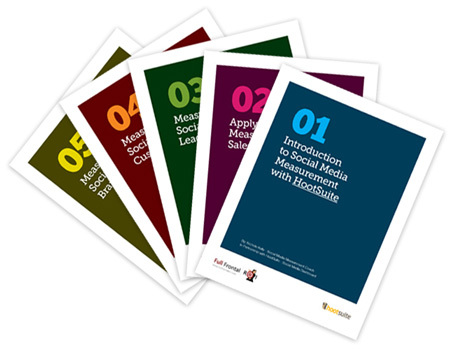 The Social Analytics Reports discussed in these white papers are available with the HootSuite Pro and Enterprise plans. To try Pro free for 30 days, including unlimited access to the Reports, visit HootSuite.com/Pro and get started. Nichole Kelly is a social media measurement coach and the publisher of FullFrontalROI.com. 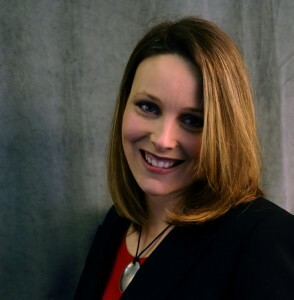 After 12 years in corporate marketing creating accountable marketing teams, she used her talents to create a systematic way to measure social media and put it into the context of where it is delivering value to your organization and show bottom-line ROI. She has found that most marketers have the measurement tools they need and with the right language and the right strategy to put the pieces together; they can deliver results.